The peony is one of the most loved (and most Instagrammed!) 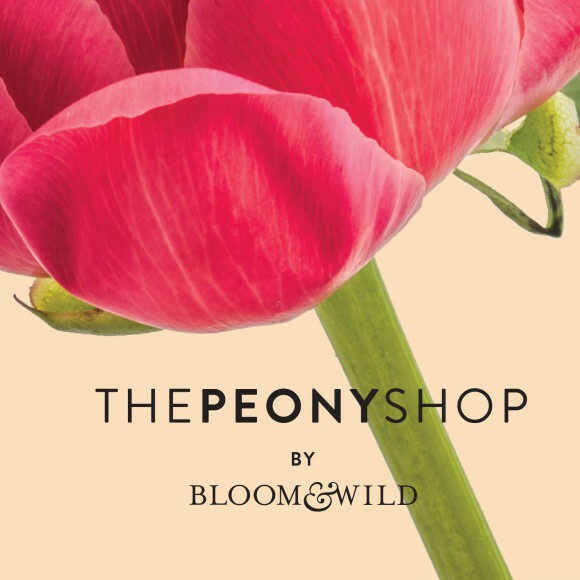 flowers, and with peony season in full swing we’ve teamed up with Topshop to host a peony-drenched pop-up store. Between Sunday 29th May and Saturday 4th June we are at Topshop Oxford Street in a bid to allow the nation to engage in its annual fleeting love affair with the flower. Last week we unveiled our brand new bouquet which took months of planning alongside our friends at Refinery29 and Women’s Aid. The blooms are inspired by strong, smart and independent women, with 10% of all proceeds going to Women’s Aid, a charity which both us and Refinery29 feel passionate about. Its been an exciting journey for all involved, and we would love to share with you our creative process. 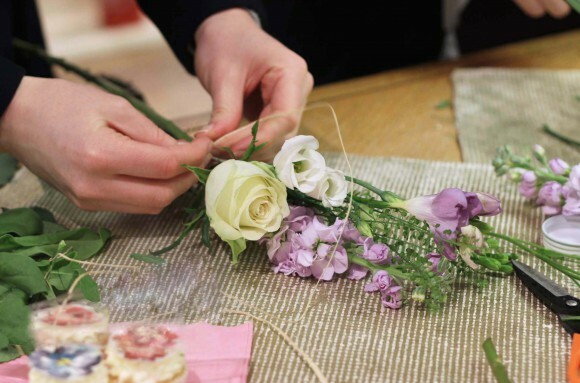 On Thursday we headed to the Paperchase flagship store to host posy making workshops. 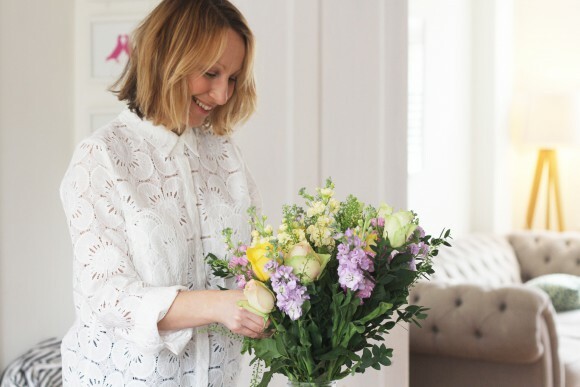 With our Mother’s Day bouquets to hand, teeny-tiny Paperchase jars and plenty of ribbon we shared our top tips on making the perfect posy – the best way to make your blooms go even further. Today we’ve included a short video to show you some of our posy making tips so you can try this at home. If you want to see some sneak peak photographs of the event be sure to scroll and have a browse through. 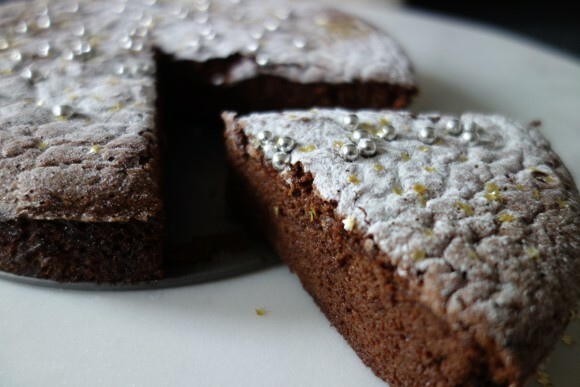 Mother’s Day is the perfect day to treat your mum, and there’s nothing more indulgent than a delicious chocolate cake. We’ve teamed up with the chocolatier Amelia Rope to bring you a heavenly cake which is a tried and tested recipe for success with it being Amelia’s mum’s favourite. Amelia Rope devises her recipes by tapping on her skills as a previously qualified aromatherapist. Her goal is to leave you with balance between the flavour and chocolate and end with a very clean note. This gluten free and totally indulgent chocolate cake is one of her treats to her mother for Mothers Day. This recipe was made using Amelia’s Madagascan chocolate but you can use any chocolate you like. Photographs by Amelia Rope & Mary Wadsworth. Last year Diana Bardega set up The Mamahood, a community which runs creative and inspiring local events for mothers. In a month where we are celebrating mothers we love, Diana tops the list. 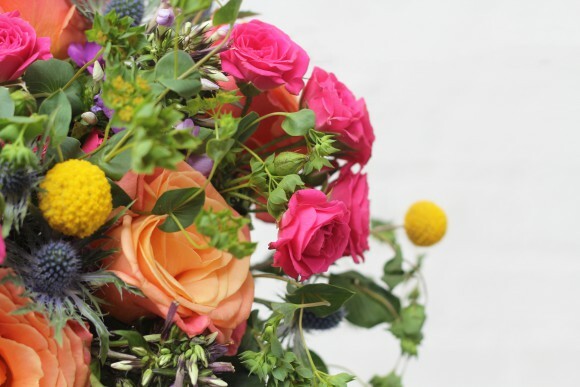 We find the work that she does so inspiring that we even named our Mother’s Day bouquet after her. Today we’ve been speaking to Diana about everything Mamahood and mama related.